mixedbag October 6, 2015 September 19, 2016 3 Comments on Grammar Nerds, Unite! 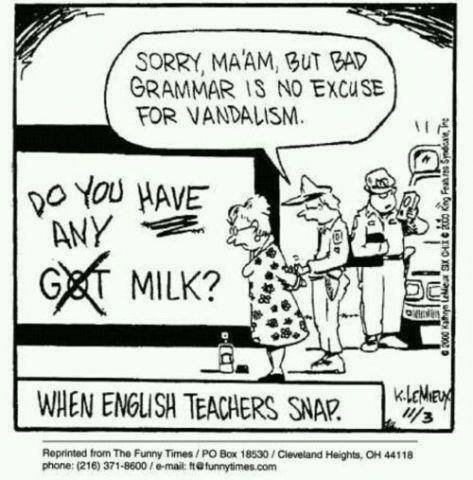 Five grammar jokes/puns which made me chuckle. Enjoy! 1. 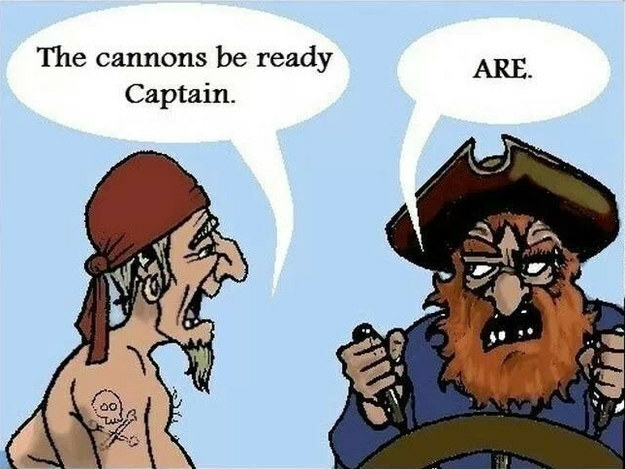 This grammar Nazi pirate! Don’t be a psycho! Use Commas! 4. This English teacher could very well be me. 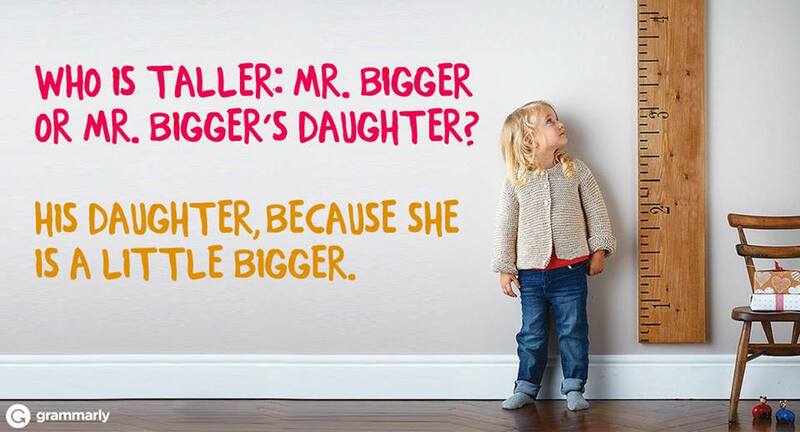 Images sourced from Grammarly and Pinterest.